A group of illegal immigrants from South-Eastern Asia were detained in Lviv by the officers of the State Border Guard Service in the framework of the joint special border operation “Border-2018”. It was managed to expose the intentions of the offenders due to the cooperation with the border guards of Poland. 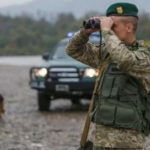 The Polish colleagues with the help of technical means recorded in the night the appearance of the unknown persons near the Ukrainian-Polish border, and the border guards of the Western Regional Department immediately organized a search of the violators. Soon the cynologists with the service dogs found the tracks of possible offenders. However, they failed to detain them immediately as the illegal immigrants were hiding among plantings of sunflower. 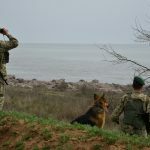 In order to prevent violations at the state border the officers of the operational units used the reserves of the several neighboring units of the Lviv Border Detachment. As a result, 3 Bangladesh citizens and 1 citizen of Myanmar were revealed and detained 500 metres from the border. The foreigners reported that they intended to bypass the checkpoint to get into the EU. The detainees were taken to the unit to clarify the circumstances of the offense and draw up administrative documents. So far, the filtration events go on. 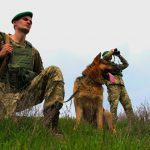 This entry was posted in Translated Media-News from Ukraine and tagged Asia, Bangladesh, border operation, Myanmar, offender, Ukrainian-Polish border on August 21, 2018 by oksana. When receiving information from the local residents about appearance of unknown persons, the border guards of Lviv Detachment stopped two cars for inspection in the suburb of the village Shabelna. There were 9 persons inside the vehicle, including also those of Asian appearance. After documents check the border guards established that 5 persons were the citizens of Ukraine and other persons had no any documents and were probably the migrants from other countries. One of them was the citizen of Bangladesh, who had the Certificate on appeal for protection in Ukraine, three other men introduced themselves as the citizens of Sri Lanka. All detainees were delivered to the Border Department for clarification of all circumstances of the infringement. Administrative-procedural documents were prepared as to the foreigners. So far, their participation in unlawful activities connected with illegal transportation of persons through the state border is under establishment. This entry was posted in Translated Media-News from Ukraine and tagged Asia, Bangladesh, border, illegal, Sri Lanka, Ukraine on July 17, 2018 by oksana.